Mango Habanero Wings are sweet and spicy chicken wings with a Mango Habanero glaze made with Mango Habanero Salsa and peach preserves. 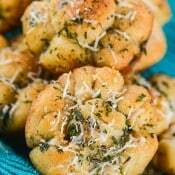 Serve this appetizer at your next party. 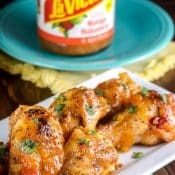 Mango Habanero Salsa and Peach preserves create a sweet and spicy Mango Habanero glaze to go over these Mango Habanero Wings and it is easy to make. 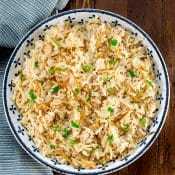 This has to be my favorite chicken wings recipe. For those that follow me, you may have noticed that I have gone mango habanero crazy and made quite a few Mango Habanero recipes, such as Mango Habanero Shrimp Flatbread, Asian Lettuce Wraps with Mango Habanero Salsa, and Blackened Chicken Tacos with Mango Habanero Salsa. 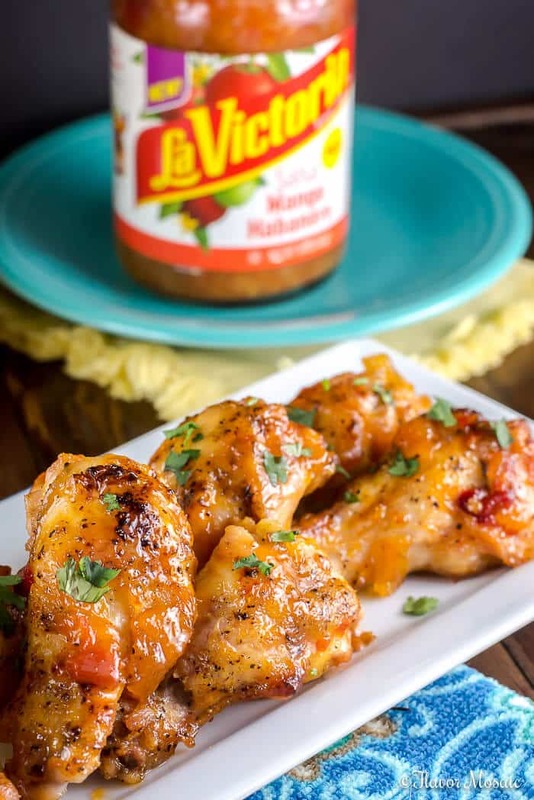 When LA VICTORIA® Mango Habanero Salsa asked me to do another post, I jumped at the opportunity because I love the sweet and spicy mango habanero flavor combination, and creating new recipes with it. What Makes This Mango Habanero Wings Recipe Work? 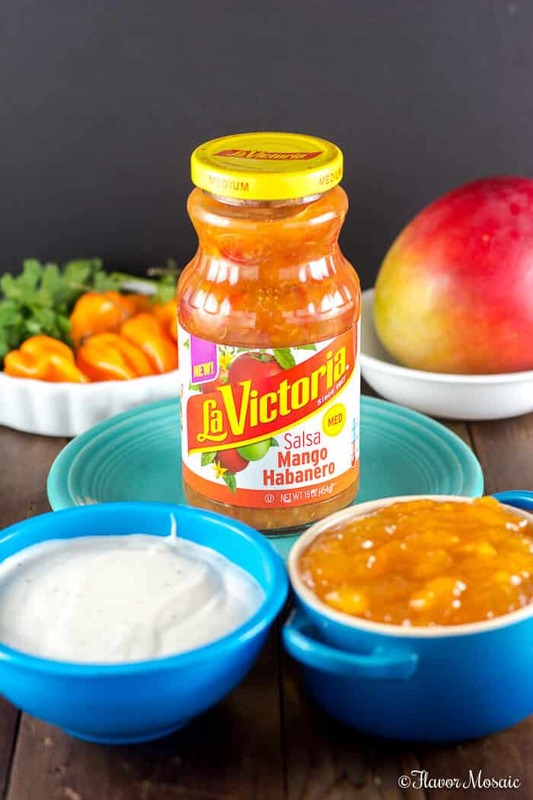 We love the LA VICTORIA® Mango Habanero Salsa because it strikes the perfect balance between sweet and spicy with its chunks of mangoes and tomatoes. It carries some heat, but it does not overwhelm the salsa. 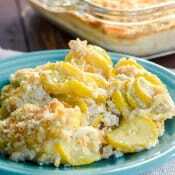 Instead it compliments the sweetness of the mangoes. I bought several jars previously and had to make sure Mr. Flavor Mosaic had not finished off 4 bottles of it yet. Thankfully, we had 2 bottles left so could make these chicken wings and still have some left over for dipping. What Ingredients Do I Need To Make Mango Habanero Wings? How Do I Make Mango Habanero Wings? These Mango Habanero Wings are super simple to make. 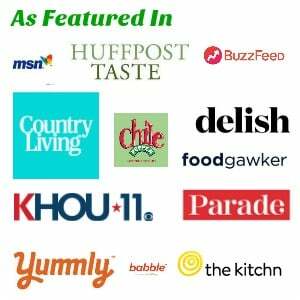 Combine the LA VICTORIA® Mango Habanero Salsa with peach preserves. Heat salsa and peach preserves for about 5 minutes. Brush the glaze on the cooked chicken wings and bake for 5 to 10 minutes more! Easy Peasy! I made one batch for this post, and I have been asked to take these to a friend’s party. I’m not surprised because they taste incredible with the sweet and spicy, sticky goodness. I’m certain that there will be no leftovers for me to bring home. 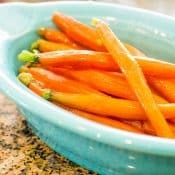 What To Serve With Mango Habanero Wings? Aloha Barbecue Chicken Wings – Sweet and spicy chicken wings sweetened with pineapple preserves to bring a taste of Hawaii to your grill. 20 Unique Game Day Wings Recipes – Not your run-of-the-mill chicken wings. 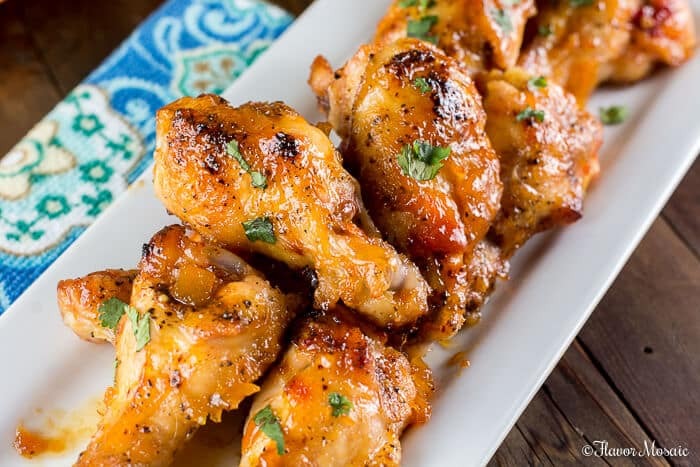 These 20 chicken wing recipes are unique, flavorful, and delicious! 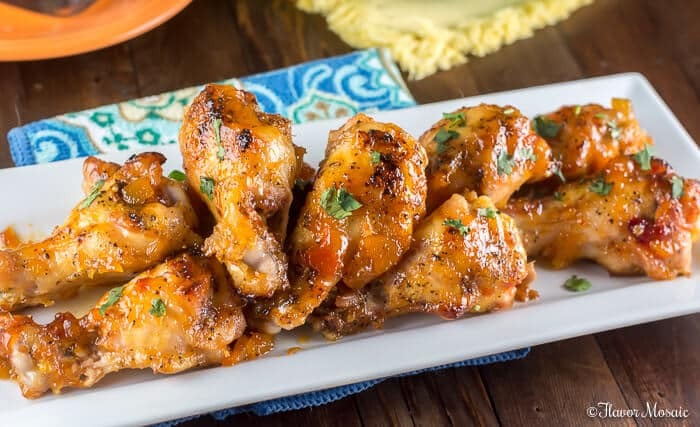 Add a little spicy sweetness to your life by making these sweet and spicy Mango Habanero Wings. Sprinkle the wings with salt, pepper, garlic powder and paprika. Place the wings on a foil covered baking sheet and cook in a preheated oven for about 45 minutes. In a medium saucepan over low heat, stir together the La Victoria Mango Habanero Salsa and peach preserves until smooth and heated through. Brush the Mango Habanero glaze over each of the wings and cook for about 8 - 10 minutes more. 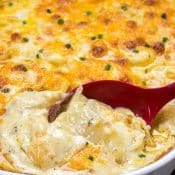 Remove from oven and place on a serving plate. 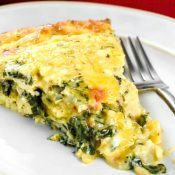 Garnish with chopped cilantro. 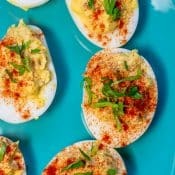 Serve with ranch dressing and La Victoria Mango Habanero Salsa. 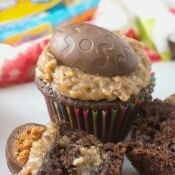 Hey Michele, This looks so good! Pinned to try. I just picked up a jar and was going to use it for chips but, can’t wait to try this!